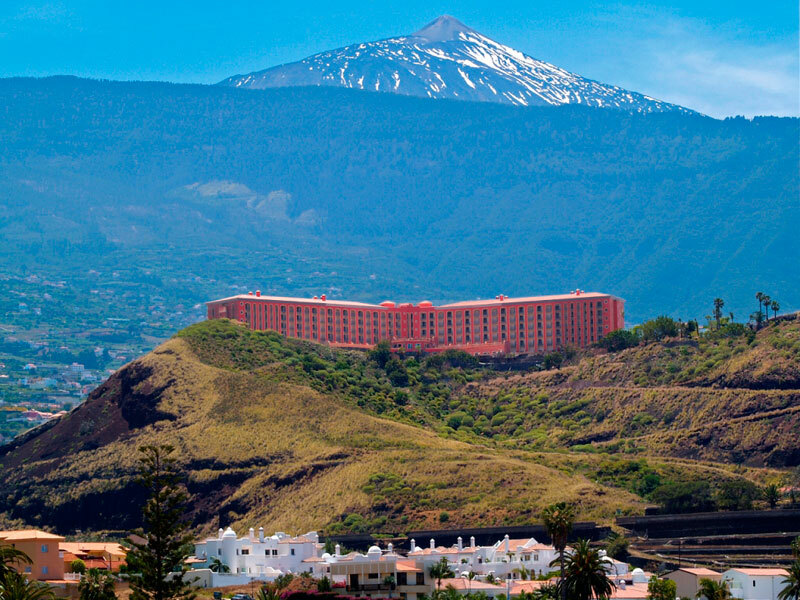 The Hotel Las Aguilas is located on top of a mountain with spectacular views of Puerto de la Cruz and the Orotava Valley, surrounded by 10,000 m2 of gardens, 3 km. from the beach and minutes from the center of Puerto de la Cruz. All 219 rooms at the Hotel the Eagles are divided into studios and spacious 1 and 2 bedrooms. Rooms completely renovated, designed in warm colors, cozy and very comfortable especially for your comfort, choosing Teide view or sea. All rooms at Hotel Las Aguilas except studios have living room and bedroom, bathroom with spa bath, kitchen and large balconies or terraces. All rooms are equipped with air conditioning, hair dryer, kitchen (with utensils surcharge), satellite TV, telephone, safe (prepaid), and minibar. Maximum capacity in a 1 bedroom room is 3 adults and 1 child, and the 2-bedroom, 4 adults and 1 child. Amalthea Buffet Restaurant: wide choice at breakfast and 10 nightly themed buffets with show cooking, offering a comprehensive tour of the best cuisines in the world. A la Carte Restaurant Sal Gorda: creative cuisine with selected international dishes. Barbecue by the pool where you can enjoy delicious steaks, fish dishes and paellas weekends. Vulcano Show Bar: wide selection of international drinks and cocktails enjoy professional shows and themed nights.